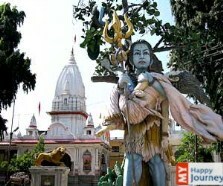 One of the most ancient shrines in Haridwar is the significant Daksh Mahadev Temple. 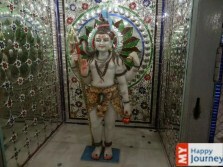 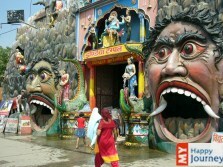 It is also renowned as Daksha Temple. 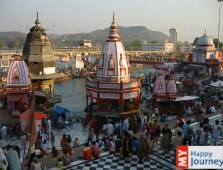 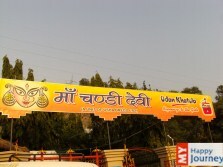 Situated in Kankhal town, it is among the five holy pilgrimages in Haridwar and a 4km ride from the holy city. 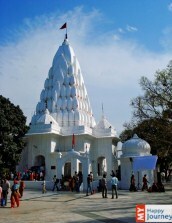 Constructed back in 1810 AD, under the supervision of Queen Dhankaur, the temple still manages to hold its charm and is a scenic retreat for its tourists. 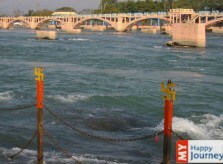 Together with the astonishing backdrop of the gigantic Himalayas and lush greenery all around, the place is an ecstasy in the woods of Haridwar. 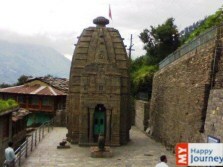 It is believed that Goddess Sati's father, Prajapati Daksha performed a holy yagna at this place and did not invite Lord Shiva because of which divinity Sati gave up her life in the fire of yagna. 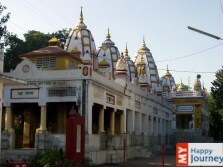 Today the temple stands as a tribute to Mata Sati and is also known as Shri Daksheshwar Temple. 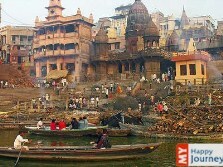 Later, in 1962 the rulers decided to reconstruct it, so as to maintain the beauty of this place.